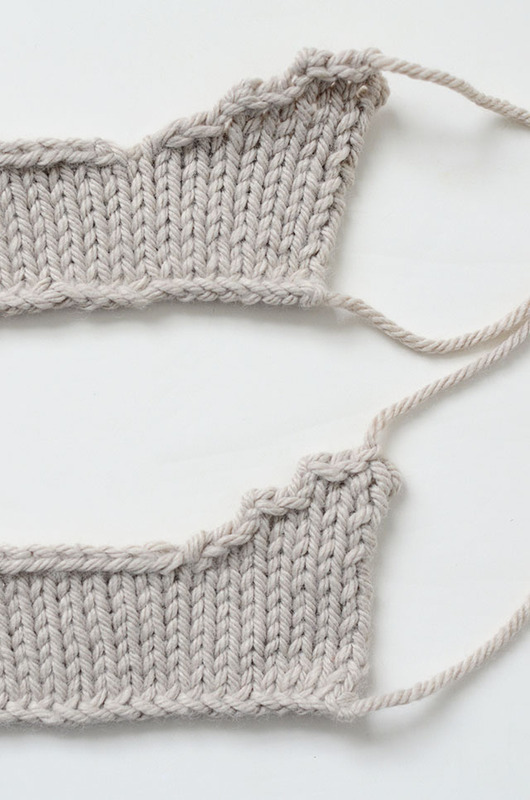 Knitting garments often involves binding off in the middle of a row to create necklines and armholes. 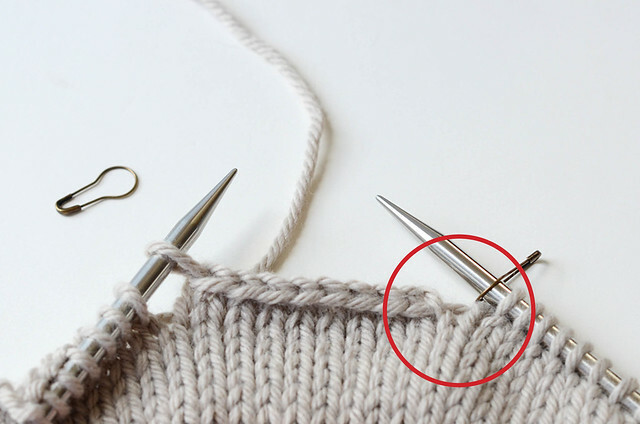 If you're like me, you're bothered by that little gap right before the first bound off stitch. Today, I'm sharing how to get rid of that gap! 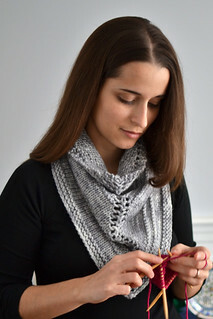 In this swatch, I cast on 24 stitches and used markers to make three sections of 8 stitches. 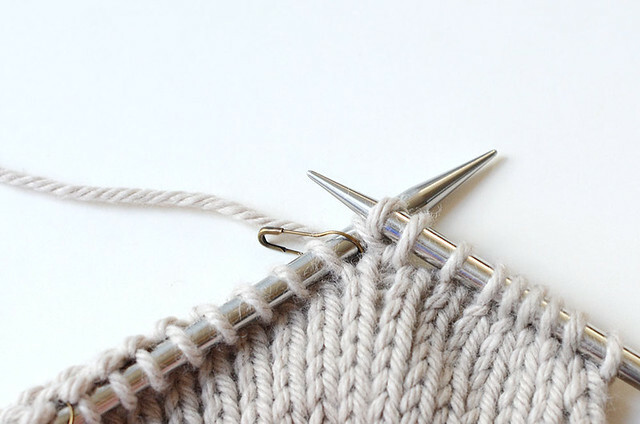 To bind off the center stitches, one would generally knit to the marker, slip the marker, and bind off the next 8 stitches. 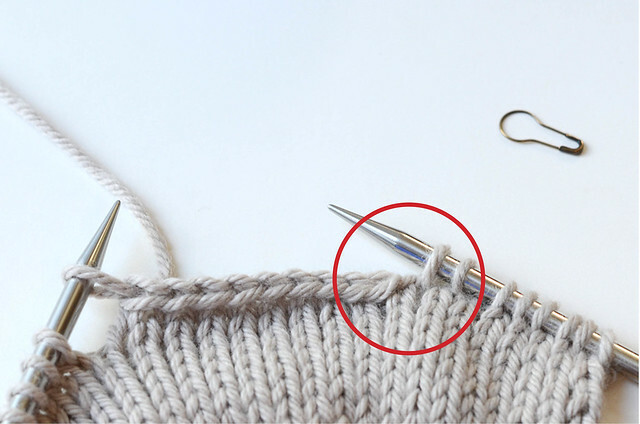 To eliminate the gap, knit to one stitch before the marker instead, then do this: KFB into the next stitch. You would now have 9 stitches before the marker instead of 8. 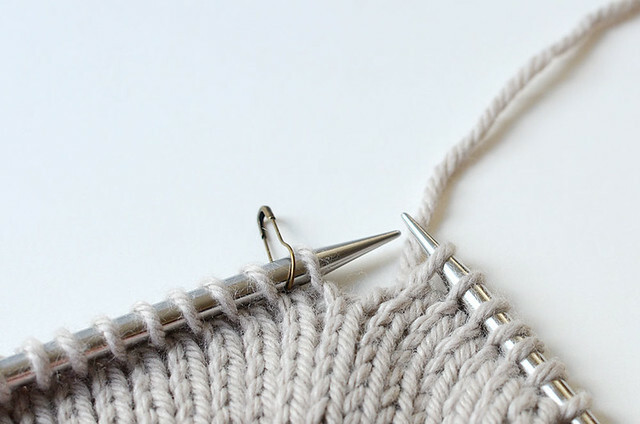 Use the 9th stitch (the new stitch just made by the KFB) to start the bind off. 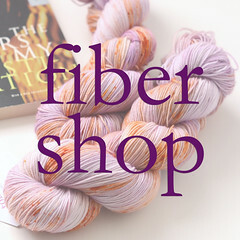 This means you will need to bind off one extra stitch. 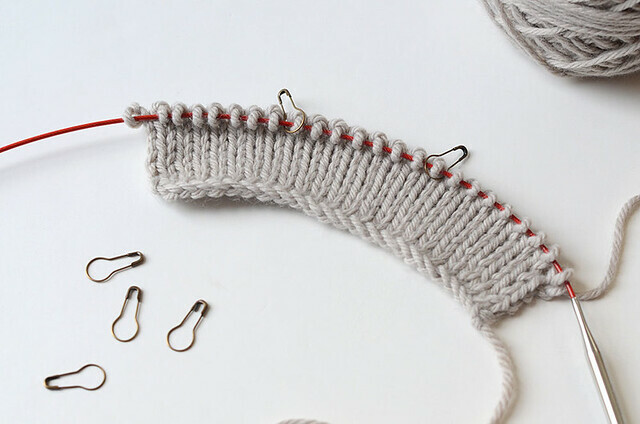 Basically, you create an extra stitch in the row and immediately bind it off, so it doesn't affect your stitch count - but it creates a clean start to your bind off. The gap is gone, and your neckline will look cleaner. Ta da! This is great! That gap really annoys me at the neckline.